The Hamilton County Urban Search & Rescue Task Force is a program of the Hamilton County Fire Chief’s Association, operating under an agreement establishing mutual aid in the county. 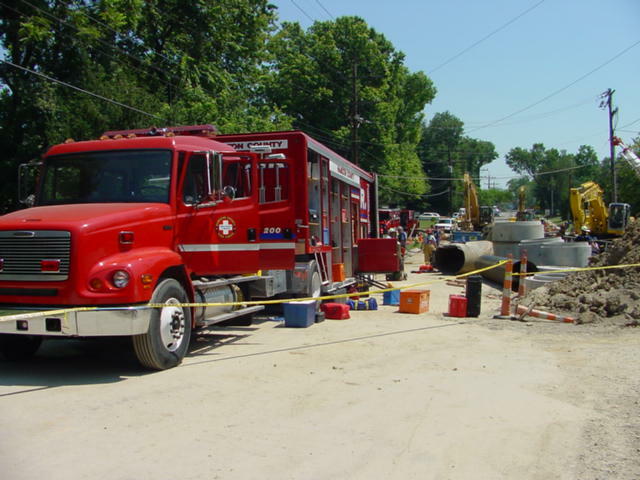 The MISSION of our special resource is to provide technical rescue support for area fire departments in incidents involving high-angle, structural collapse, confined space, trench, machinery, and technical or wilderness search capabilities. This mission is essentially the same in a DISASTER SITUATION. Our NIMS resource-type is Collapse Search & Rescue Team, Type 1. 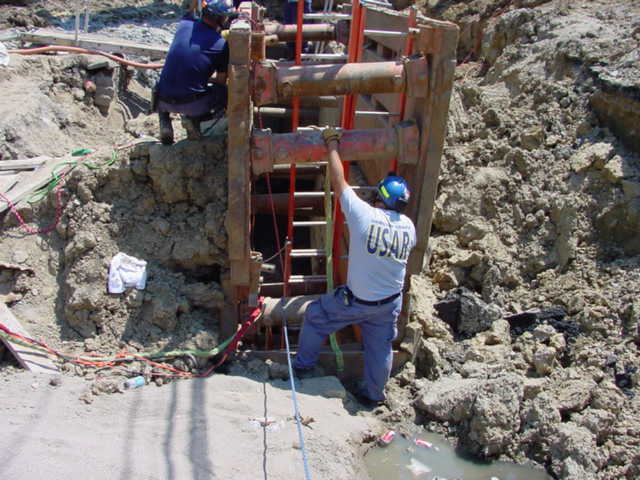 The Task Force has an operational command structure in place that conforms to tenets of the ICS as described by the Model Procedures Guide for Structural Collapse and USAR Operation and as adopted by the State of Ohio and the federal government through NIMS. In response, the Task Force integrates with the command system of the Authority Having Jurisdiction (AHJ). 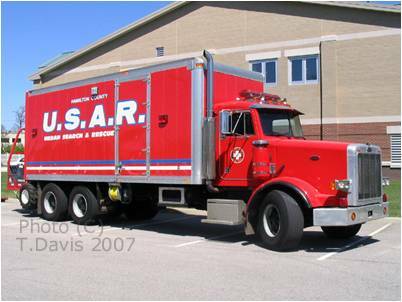 The USAR Task Force is comprised of 81 members from 25 fire departments in SW Ohio and patterned operationally after a federal USAR Task Force. In a typical USAR response, we have consistently demonstrated the ability to place 45 specially trained members on a scene within 60 minutes. The Task Force requires that all members have the same basic training program covering all technical rescue disciplines. The curriculum that has addressed this training in the past was termed “BERT” (Basic Emergency Rescue Technician), is over 200 hours in length. Recently, a similar program has been provided by Bowling Green State University. The Task Force supports six major training sessions and twelve (monthly) equipment service checks. We have an EQUIPMENT cache that exceeds the federal definition of the tools and equipment required for a HEAVY rescue capability. Our cache is aimed at our mission. The cache is distributed in two vehicles in two locations and configured to be quickly mobile. Though not 100% duplicated in both locations, our equipment distribution provides for much greater redundancy than has been previously the case. 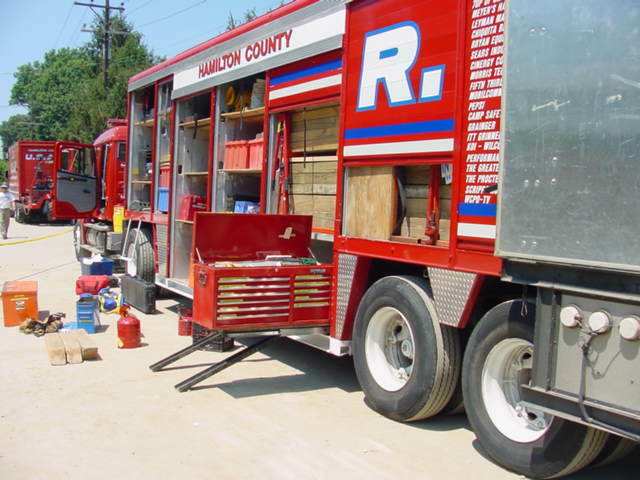 We participate with the Ohio Regional Collapse Search & Rescue Team network and have a trailer-mounted cache of equipment available and deliverable to us through the State Fire Marshal. There is an alerting system in place with which to notify members of an activation and give directions to and record those responding. We have instituted regular system testing for this system. We have an FCC license for a UHF radio system, numerous portable radios and a repeater system that can be set up on location to support them. 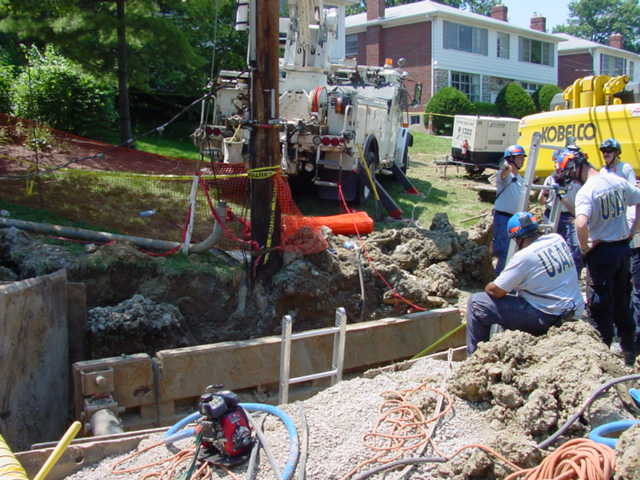 We have the ability to access the Hamilton County 800 mHz system. We have limited MARCS capability. . The Task Force has been operational since 1998 and has been activated over 26 times, most recently in March 2014 for a search situation. We have demonstrated ability to place 45 members on an emergency scene in Hamilton and close areas of surrounding counties within 60 minutes. We have lead the development and promotion of similar SOP’s for technical rescue incident response to all area fire departments. Organization of the Task Force itself contributes to “integration” of approach for all participating fire departments and others by reputation of the Task Force. Our members come from 28 different fire departments increasing buy-in for our effort. Hamilton County participates with Ohio Fire Chief’s Association effort to develop a regional technical rescue response capability in the urban areas of the State through the Emergency Response Plan. In addition to Hamilton County, (Region 6) which was declared a state-wide response ready technical rescue resource for the state in the Spring of 2003, Summit County (Region 5), Central Ohio (Region 4) and Cuyahoga County (Region 2) are also response–ready. Compatible equipment for communication is available through the Hamilton County Fire Chief’s Command Van (Command 400) and other state resources, such as MARCS. Through the Technical Rescue Oversight Committee of the Ohio State Fire Chief’s Association, we coordinate with State/Federal Task Force on equipment, training and procedures so that mutual aid is as seamless as possible.